Who are the great songwriters in America today? Not the most popular. Not the richest. Simply the greats. Ask any student of the form and Janis Ian will be counted among them. Janis’s most successful single was “At Seventeen,” released in 1975, a bittersweet commentary on adolescent cruelty and teenage angst. “At Seventeen” received acclaim from record buyers and critics and won the 1975 Grammy for Best Female Pop Vocal performance, beating out the likes of Linda Ronstadt, Olivia Newton-John and Helen Reddy. Ian performed “At Seventeen” as a musical guest on the very first episode of Saturday Night Live in October of 1975. “At Seventeen” is now reaching its third generation of listeners. Many other artists have recorded Ian’s compositions, most notably Roberta Flack, who had a hit in 1973 with Ian’s song “Jesse” (also recorded by Joan Baez). Seventeen albums and an impressive collection of Grammy Awards and nominations later, Janis’s songs continue to attract the world’s great artists to her powerful lyrics and melodies. Her following is world-wide. In addition to a heavy touring schedule and charity projects, she continues writing songs and a monthly column for "Performing Songwriter Magazine." 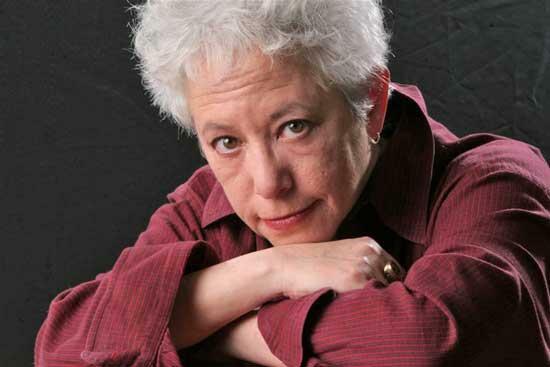 The Arts Center of Cannon County is pleased to present Janis Ian on stage, Thursday, November 18. You won’t want to miss this icon of American Folk Music in a truly a “not to be missed event. Janis Ian is part of Coach Micheal Burt Concert Series. wonderful. I liked it enough that I requested my agents book me back there as soon as possible. Showtime is 7:30 p,m; tickets are $20 for adults, $18 for seniors and students. For reservations or more information call 615-563-(ARTS) 2787 or 1-800-235-9073. There have been a lot of new things happening with Janis since her last appearance in the area. Penguin Press, the publisher of Janis' "Society's Child - My Autobiography," released her book in paperback the first week of September, 2009. As if this weren't exciting for Janis, simultaneously, Sony Records released her 2-disc CD, "Essential Janis Ian" to go side-by-side with the autobiography and containing all the songs referenced in it plus never-before released cuts. Saturday Night Live and still remains one of the most astute, heartfelt tales of outsider angst and growing up ever written (listen for it in Mean Girls). Ian is a formidable talent, a force of nature. Ella Fitzgerald called her "The best young singer in America". Chet Atkins said "Singer? You ought to hear that girl play guitar; she gives me a run for my money!" Reviewers have called her live performances "overwhelming to the spirit and soul", and "drenched with such passion, the audience feels they've been swept up in a hurricane."